Effective 30 October 2017, DP World Australia will introduce a charge at its Fremantle Terminal as part of the basis for which access to the terminal is granted, for both road and rail operators. “The announcement by DP World that it will impose an Infrastructure Surcharge of $8.22 on all full containers handled through its Fremantle Terminal from 30 October 2017 is yet another example of stevedore monopolistic behaviour, and again highlights the lack of an adequate response from Australia’s competition watchdog and Australia’s Federal and State Governments,” said Container Transport Alliance Australia (CTAA) director Neil Chambers. “Having seemingly got away with it on the east coast by imposing new and significant increased Infrastructure Surcharges in Melbourne, Sydney and Brisbane earlier this year, DP World has again got its hand in the pockets of container transporters and their import & export clients, this time on the west coast. “These Infrastructure Surcharges are almost double those imposed by Patrick Terminals in Fremantle in July ($4.76 per full container), and are being imposed on a unilateral basis with no consultation with those expected to pay. “Mid this year, ACCC chairman Rod Sims, offered a view publicly seemingly linking the east coast fee hikes with the negative aspects of port privatisation. What then is the ACCC chairman’s view about it happening (again) in a publicly owned major capital city port? “As observed by our freight forwarder and shipper representative colleagues, Freight & Trade Alliance (FTA) and the Australian Peak Shippers Association (APSA), it’s now clear that we’ve descended into a commercial container logistics chain pricing model where the end-payer doesn’t get to decide or have any influence over the outcome. “The position of CTAA Alliance companies remains the same (again): the stevedores should either absorb increased operating costs, improve their productivity, or negotiate their collection through their commercial clients, the shipping lines. 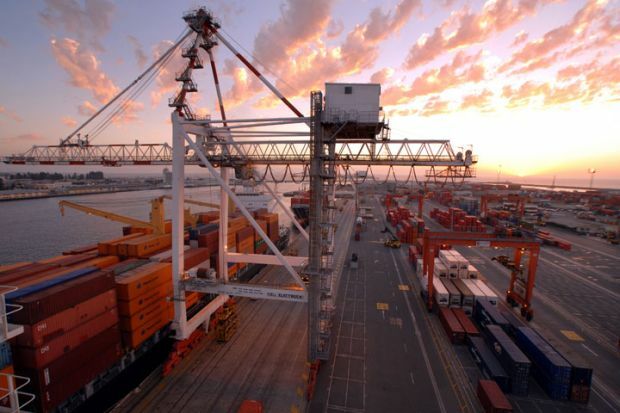 “As we said when Patrick Terminals made its Fremantle Infrastructure Surcharges public in June, it is very disturbing that the stevedores can simply offset their rising costs by unilaterally implementing levies on parties in the supply chain who have no strong contractual relationship with the stevedores, with no consultation and at short notice. “How is the money to be collected by DP World going to be spent in Fremantle? The statement by DP World claims that they have ‘invested in critical infrastructure to keep pace with industry expectations’,” Mr Chambers said.